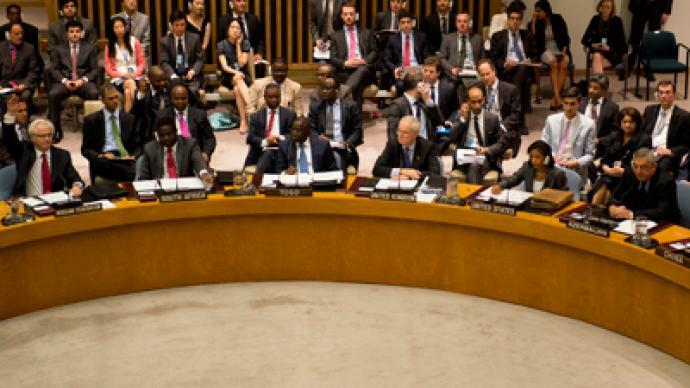 The UN Security Council has voted for a technical extension for the UN observer mission in Syria for 30 days as the previous one expires on July 20. 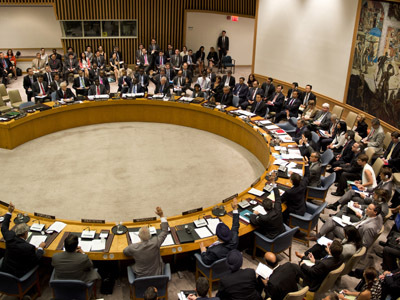 The new extension comes as UNSC members work out a compromise of two proposals on the table – one by Pakistan, which suggested extending the mission for 45 days, and the other by Britain, which offered a 30-day extension. 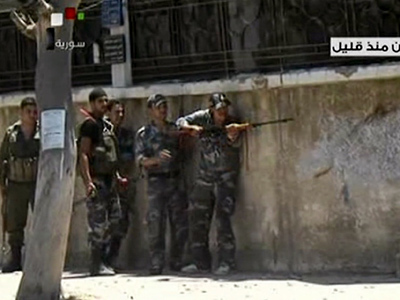 However, Britain’s offer came with the condition that Assad withdraws all troops from residential neighborhoods. The draft resolution was submitted by France, Germany, Portugal, and the UK. Russia’s envoy to the UN, Vitaly Churkin, said that the resolution was called final because some members of the UN Security Council wanted “to send a political signal” and “to put some pressure on both sides,” but the resolutions may be prolonged if both sides halted the violence. “We are glad because, first of all, the resolution is balanced and second, we appreciate the role the UN mission observers have played and will play in the Syrian conflict. We were the initiators who launched this mission, that is why we believe that is important to extend it,” Russia’s Ambassador to the UN said. The US envoy to the UN Susan Rice explained that the resolution is called "final" as 30 days is the limit within which the mission should be withdrawn safely and in “an orderly fashion.” If the violence decreases, there is the possibility of an extension. “And we hope very much that the withdrawal will be conducted with a principle priority placed on the security of the UN personnel,” she said. Rice said the UNSC had found itself at a dead end while trying to find a solution to the Syrian crisis. That is why, she said, Washington will concentrate on the work with non-UNSC members. “The US will intensify our work with countries outside the UNSC – particularly the 100+ countries supporting the Friends of Syria process,” Rice said. Russia had initially threatened to veto the British proposal as Moscow initially supported the Pakistani draft resolution. The 15-nation council went into emergency consultations in a bid to avoid a second Russia veto on a Syria in 24 hours and a fourth since the start of the crisis in March last year. On Thursday Russia and China vetoed the Chapter 7 resolution drafted by Britain, which would also allow the council to authorize actions ranging from diplomatic and economic sanctions to military intervention. He stressed that the main thing is that the resolution contains calls to both sides to end the violence. The UN monitoring mission in Syria was deployed 90 days ago as part of international envoy Kofi Annan's peace plan to end the 16-month conflict that has killed thousands.